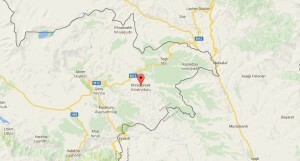 Khndzoresk is a village in Syunik region of Armenia, which you can visit on your way to Stepanakert. It is famous for its beautiful canyon and ancient caves, as well as swinging bridge. So there are a lot of attractions for tourists here, and recently more and more people have been choosing this destination. What does the word “Khndzroresk” mean? Many locals think, that the name comes from the word “khndzor” which means “apple” in Armenian. But others say that the fruit has nothing to do with this village. 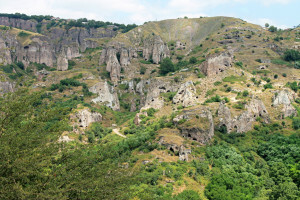 The village was built in a deep gorge, and initially was called “Khor Dzor” (deep gorge in Armenian) or “Khordzoresk”. During centuries this named transformed to “Khndzoresk”. In one case the first interpretation of the name is justified – Khndzoresk is famous for tasty fruits: apricots, pears, grapes, watermelon, melon. After visiting Khndzroresk your organism will thank you for vitamins! So, where to go in Khndzoresk? There are numerous historical monuments here, among which – Fortress of Khndzoresk, grave of Mkhitar Sparapet, Saint Tadevos Church and of course the swinging bridge. The bridge is new – it was opened in 2012. 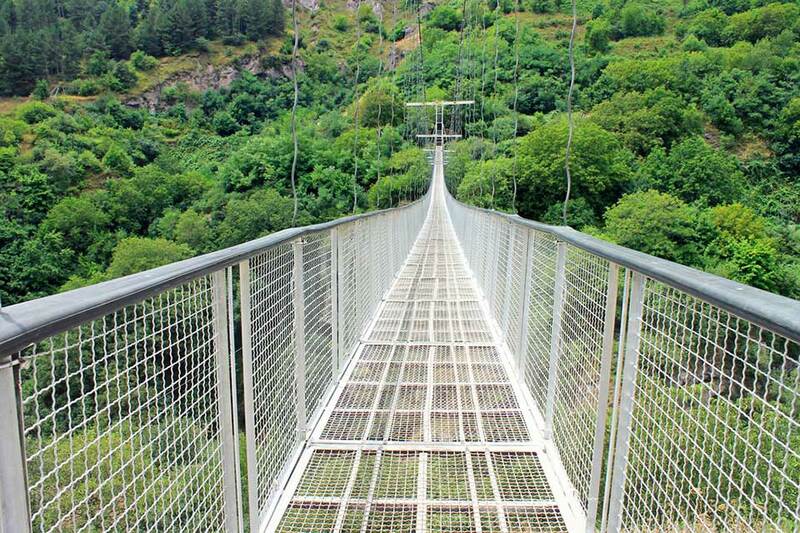 It is about 36 meters above the ground and is 160 meters long. It connects two parts of the village, situated on slopes of mountains. It may be a little bit scary to pass it, but if you look down to the gorge, you’ll see that it was worth it. Be sure, this memory will remain one of the brightest in your life. 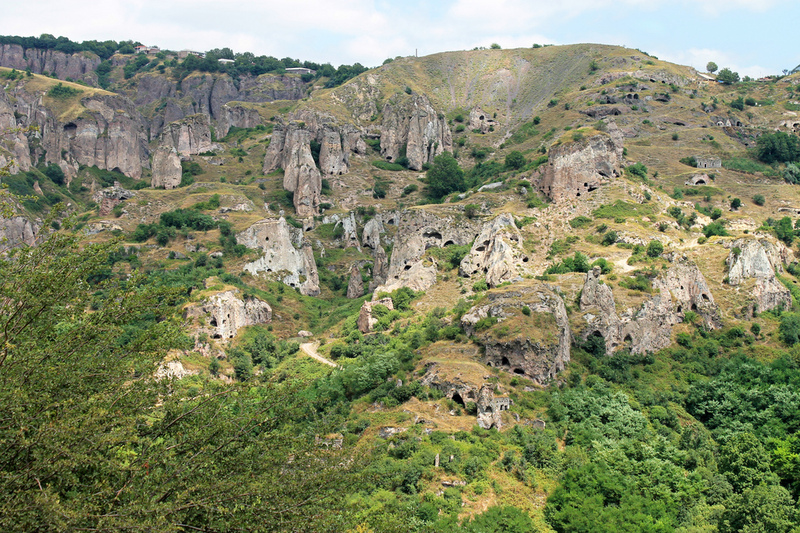 Also Khndzoresk is famous for its ancient cave dwellings – it’s a real cave city, which is almost 3 km long. Can you believe that people lived here till the middle of 20th century? Visiting Syunik, don’t miss the chance to visit Tatev monastery, Karahunj (Zorats Karer) and the Devil’s bridge as well. Khndzoresk is rather far from Yerevan – about 250 km, and it takes almost 4 hours to get there.